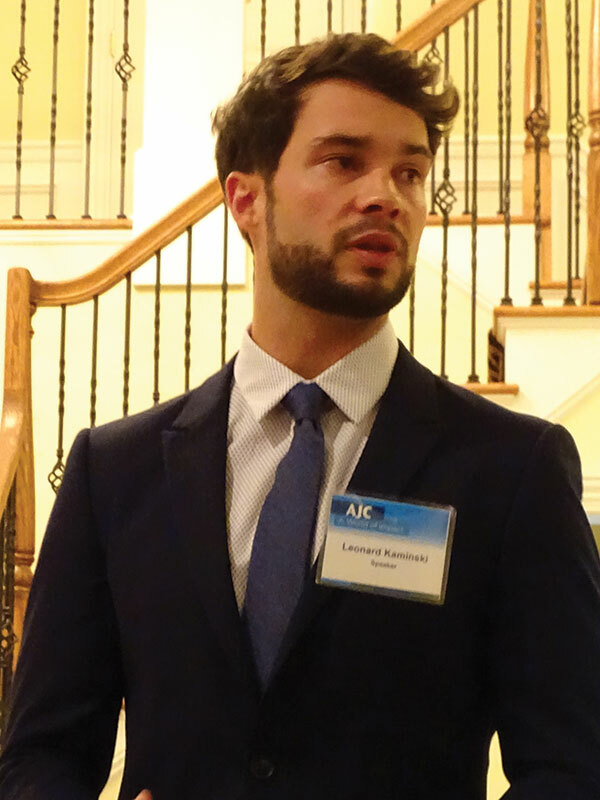 Leonard Kaminski, the American Jewish Committee’s assistant director of government affairs in Berlin, told a gathering of its New Jersey members that his organization fears a rise of anti-Semitism in Europe. He said the hatred of Jews in his country takes three basic forms — one from the Right, one from the Left, and a third from an expanding immigrant population who are mostly Muslims front the Middle East. Referring to “right wing populism as a new Nazi style,” he said much anti-Jewish hatred comes from what he called the “classical right wing Nazi anti-Semitism that has never gone away. It is still there and is currently on the rise all over Europe,” he said, speaking in a South Orange home on Dec. 12. 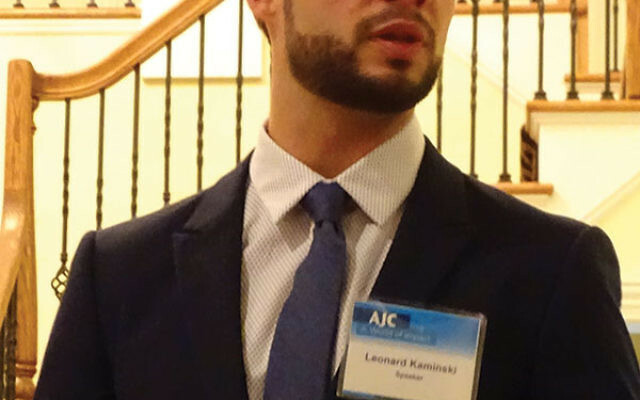 On the Left, Kaminski detects an anti-Semitic tone to some of the opposition to Israel and support of the Boycott, Divestment, and Sanctions movement. “Anti-Semitism is one of the more important subjects right now in Europe and the U.S,” he said. But the newest variety comes from immigrants to Germany, chiefly Muslims from the Middle East. “They brought a certain kind of anti-Semitism with them that is Israel-related,” said Kaminski, who maintains close relations with officials of the German government and serves as a member of the Berlin Jewish Community parliament. “While my life in Germany is great, even someone like me who lives in the center of Berlin surrounded by open-minded people experiences anti-Semitism,” he said.